Tough and compact, built for adventure. 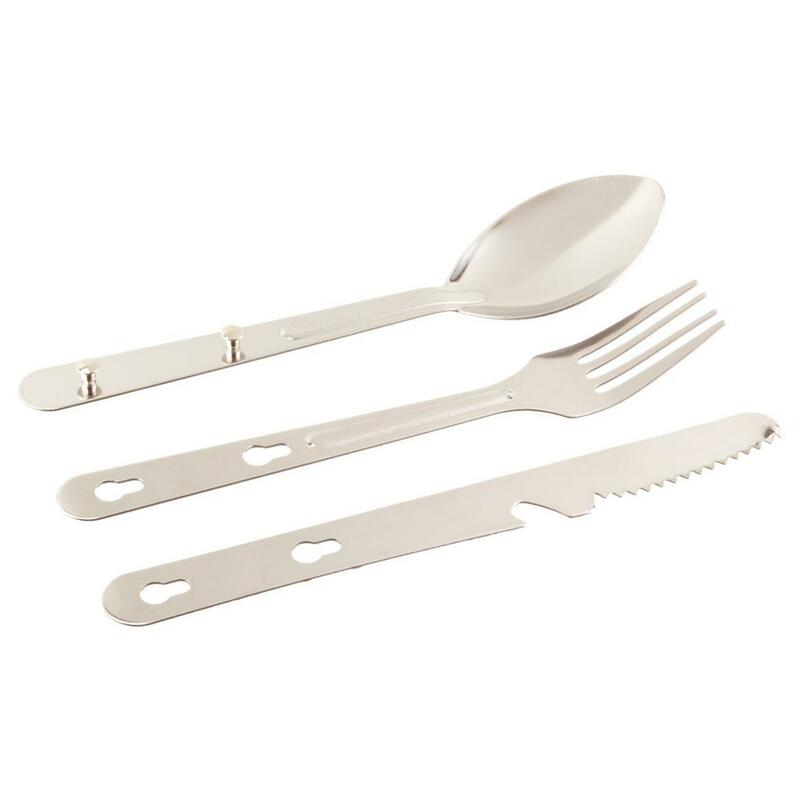 Your regular utensils weren't meant for hikes into the Great Outdoors. 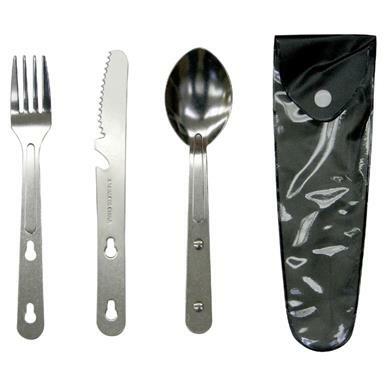 This Stansport® Camping Utensil Set was. 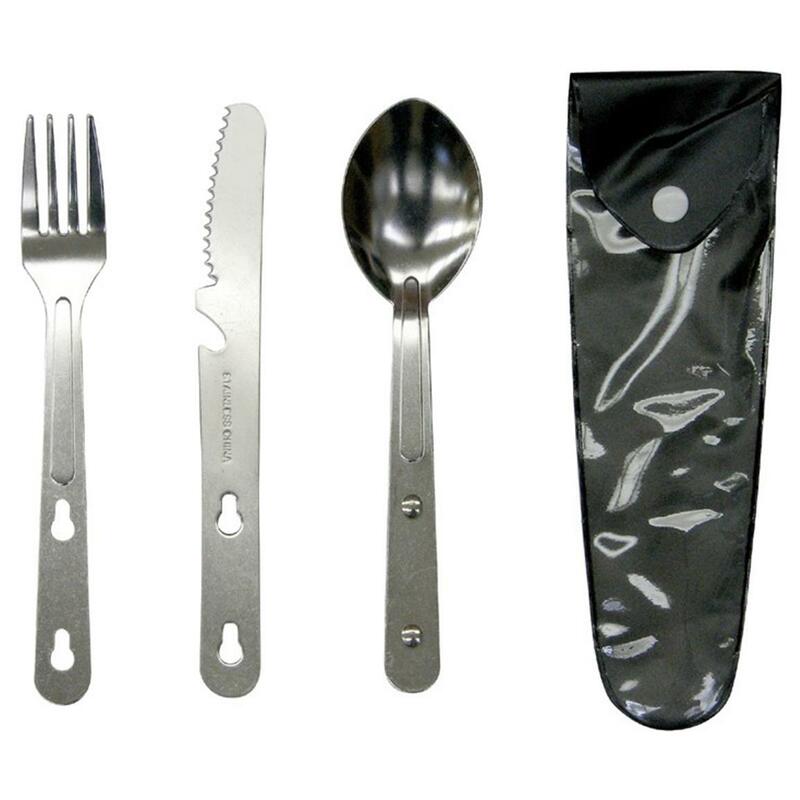 Each piece is made of rustproof stainless steel, and the knife has an integrated can opener to help reduce your pack weight. All pieces attach together and pack into one compact unit. A deadly duo for outdoor chores.